Our Epson Surecolor SC-S50600 printer is designed from the ground up to offer high-quality, creative, indoor and outdoor signage, quickly and with minimal environmental impact. 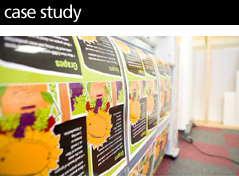 We can produce everything from posters, signage and banners to vehicle wraps, digital wallpaper and window decals. 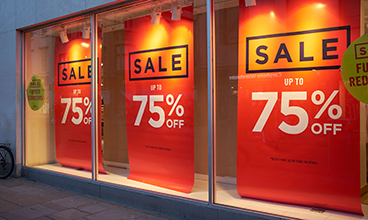 Printing on a wide variety of media for all your signage and display applications. Are you are you looking for outdoor pvc banners for sports grounds or event marketing? Or maybe your office needs revamping with some bespoke branded digital wall coverings? We even offer a full installation service on all of our large format printing. Just send us your artwork and we'll do the rest. Which is exactly what we did for United Emirates Airline when we produced and installed their World Cup check-in desk graphics at Heathrow. The new Epson Surecolor SC-S50600 printer offers us speed and durability on all our large format printing requirements. Quality 440gsm Banner PVC - Full Colour Print. Prices include hemming with eyelets or pole pockets.